The end of the year is quickly approaching, and if you’re anything like me (and millions of other people worldwide), you’re probably hard at work on your list of resolutions for 2018. Many of us are after the same things, but without concrete goals and strategies for achieving those goals, we are likely to abandon our resolutions before we even reach the month of February. Health-related achievements are one of the most popular — if not the most popular — new year’s resolutions we set for ourselves. Whether we are looking to lose weight, run a marathon, or demonstrate Gaston-level feats of strength, we often aim to improve our overall health and wellness at this time of year. In order for us to accomplish these goals, it is important for us to make changes we can stick to. While major transitions (like embarking on the Whole30 or adopting an intense fitness regimen) can have a significant impact on our health, let’s not forget about some of the small changes we can implement in our lives as well! Check out a few of my tips for ways to improve our health in 2018, and share your own in the comments section below. Experts say that we should be drinking half our bodyweight in ounces of water each day. Drinking enough water will keep you fuller longer, boost your metabolism, hydrate your skin, and provide a myriad of other health benefits. Invest in a cute water bottle or tumbler that you can refill throughout the day for easy access, and consider swapping soft drinks or other beverages for water when dining out. Spiritual and mental health are arguably just as important as your physical health, and can ultimately help you achieve your goals by relieving stress and encouraging self-awareness. Meditate for just a few minutes a day with some ambient music (my artist suggestions: The Album Leaf or Eluvium), or search for “5-minute meditation” options on Spotify for an instant boost. You can also choose to keep a gratitude journal to remind you of the things you’re grateful for. Dedicate time to meal prep. I’ve written about the merits of #MealPrepSunday before, but they are absolutely worth another mention. Cooking three healthy, Instagram-worthy meals each and every day (from scratch, of course!) is no easy feat when you’re also juggling work, school, a social life, and other obligations. However, it is much easier to eat healthy throughout the week when you’ve chopped/mixed/cooked ahead of time. I love to spend a few hours on Sundays zoning out to reality TV while chopping veggies — it saves me a ton of time later in the week when my other responsibilities pop up. Incorporate essential oils into your life. Essential oils are derived from plants and yield a variety of health benefits! I diffuse a mixture of lavender and peppermint in my home to help ward off headaches, and use lemongrass in the kitchen to assist with cleaning. As someone who struggles with eczema, I often use tea tree oil to relieve any inflammation after a breakout. Do your research to find out which essential oils may benefit you! Looking for more ideas on how to improve your health in 2018? Elysium Health has compiled a helpful infographic with tips from wellness bloggers (including yours truly! 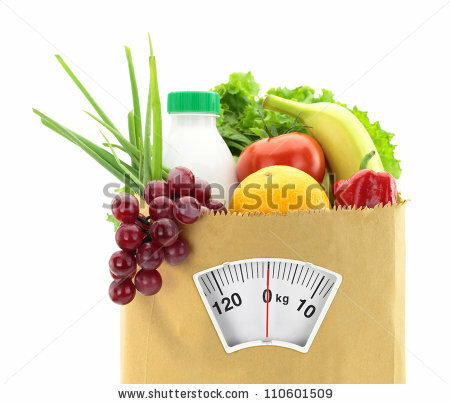 ), along with solutions to your diet, exercise, and sleep problems. For more information from Elysium, check out their research on NAD+ and how it can preserve our health. What are your wellness tips for 2018? Share with us in the comments section! I stopped by the East End Market in Orlando a few weeks back as part of my 25 at 25 Bucket List Challenge. Ever since it opened back in 2013, I have heard great things about the market’s merchants and cool, artsy atmosphere. When I turned 25, I decided that a visit to the market was a must. After the class, we hobbled over to the courtyard for the first presentation of the day. “How To Live, Love and Move” by Nikki Blanton from Our Sole Intent was a great reminder of the importance of movement throughout the day, and she focused on the power of connection through your body, your heart and the Earth. The presentation also piqued my interest in essential oils, which I’ll be attending another seminar on later today! After the presentation, we popped into Skyebird’s Juice Bar for smoothies. I tried Skye’s Fave, a mix of almond milk, kale, banana, blueberries and chia seeds, and it was a delicious pick-me-up! We loved our smoothies and appreciated the Mason jars they came in, which we were able to keep. The juice/smoothie bar is vegetarian and vegan — perfect for those trying to avoid dairy, which can be difficult at a lot of smoothie places. We visited two other presentations throughout the day as well. “Greening Up Your Home,” hosted by Porch Therapy, focused on the health benefits of having plants in your home. As someone with a lot of allergies and a not-so-great immune system, this was definitely something that appealed to me. I had no idea that there could be so many toxic chemicals like formaldehyde in our homes, or that indoor plants could make you both happier and healthier. A houseplant will be one of my next purchases, and I’m excited to learn how to care for it! We ended the day with “Resolve to Eat Healthy” with Dr. Samadhi Artemisa. I really enjoyed her food demo (I had never tried a kumquat before!) and learning about heirloom plants and the importance of eating locally. Her presentation definitely encouraged me to start looking for local farmer’s markets to get the most nutritional bang for my buck, and I was excited to learn more about how to keep my body healthy. Readers, have you ever taken a class at the East End Market? What are your bucket list goals for the year? Share in the comments section below! 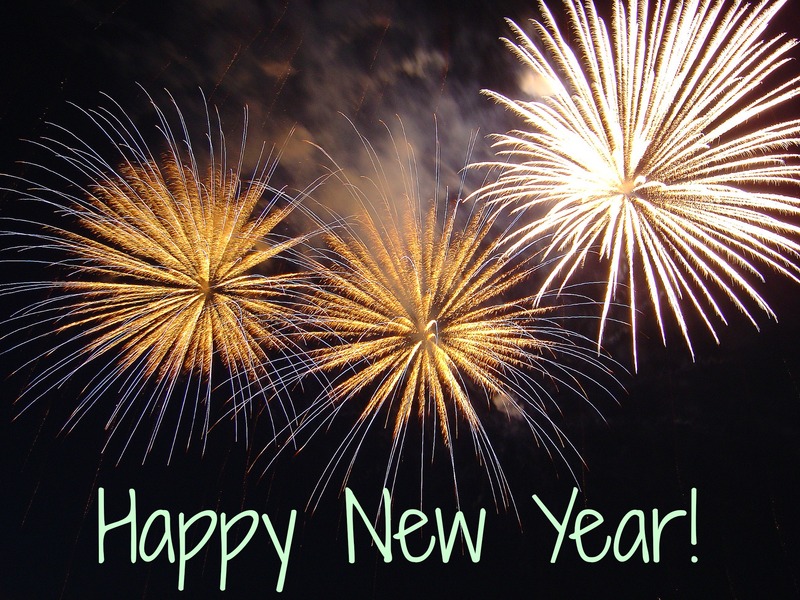 Link Love THURSDAY: Happy New Year! Yup, you read the title correctly – today has turned into a special Link Love Thursday! (It is very possible that I fell asleep very early on Wednesday after taking antihistamines for my horrible allergies…) I hope everyone had a fabulous new year and is enjoying everything 2014 has to offer. This week, I bring you a few new year-related articles, along with some sweet links that will make you smile. JWT published their list of 100 things to look out for in 2014. Happy trend hunting! Many of us have difficulties keeping our New Year’s resolutions. This article not only explains why, but also provides tips for how to keep those resolutions in the future! I recently discovered this blog, Our Extraordinary Lives, and am a big fan of their Creating Healthy Habits series – especially this post about cutting down on Facebook usage (something that is very difficult for me as a marketer). Need an adorable pick-me-up? Watch these kittens reenact The Lion King. I’m an unashamed fan of Audrey Hepburn because of my love for her movies – and I like Marilyn Monroe as well – but I do appreciate this article criticizing them as our only two Old Hollywood feminine idols. I took this political quiz, and while I wasn’t completely shocked by my results, I was interested to see some of the other parties that my beliefs lined up with. Take the non-partisan quiz and select “Choose another stance” for each question to see a greater variety of answers and beliefs you can choose from! These adorable rainy pots make the perfect homes for your plants, and are very creative, too! As someone who is not at all a fan of the public proposal, I loved this article about engagements and how they can become a major spectacle. Finally, someone has been stitching Lionel Richie lyrics in used furniture! Have you read any great articles lately? For many of us, a new year provides the chance to reinvent ourselves. This can take place in a number of ways – through a more presentable appearance, a brand new hobby, a switch in career or even a change in overall health. Last semester, I began spending more time in the kitchen to prepare more nutritious meals for myself (instead of resorting to my typical trips to McDonald’s and Asian Chao during breaks from work and class). However, because my culinary skills are extremely limited and uncreative, I wound up resorting to sites like Pinterest to find easy-to-make, delicious meals. To help each of you on your way to healthier living, I would like to share links to five of the successful recipes I have tested out. Post links to your favorite healthy recipes or food blogs in the comments section below, and feel free to follow me on Pinterest for more ideas! 1. Popcorn Broccoli (link to video). This recipe, posted by Dani Spies of Clean & Delicious, is great for those looking for a yummy side dish with a lot of flavor. If you’re anything like me and you’re looking for a healthy way to curb salt cravings, this recipe is for you. I have made the popcorn broccoli as a side dish several times, and it’s always a big hit with friends and family. Roasting the broccoli in the oven brings out the taste and gives it a bit of a crunch. 2. 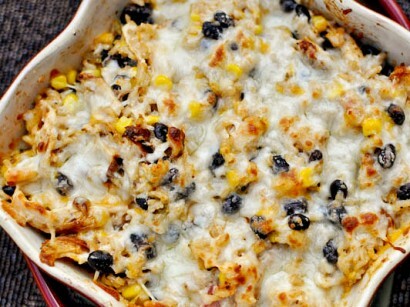 Cheesy Chicken and Rice Bake (link to recipe). My mom baked this casserole, posted on Tasty Kitchen, just a few weeks ago, and my family loved it. This one is packed with delicious ingredients, but replaces a lot of the bad stuff with healthier alternatives. It’s also pretty convenient to put away and reheat as leftovers, and can last you a long time. 3. Garbanzo and Rice Salad (link to recipe).A few of my coworkers like to make fun of me for this one, because it happens to be one of my go-to lunches when I need something filling and easy to pack! For my own purposes, I’ve altered Fat Secret‘s directions a bit by replacing the rice with quinoa, taking out the tomatoes (I’m not a tomato person) and adding olive oil to the mix. Another way to add flavor to the recipe is to use a pre-chopped tri-color pack of bell peppers so that you aren’t limited to just one. This salad takes about five minutes to make and tastes best cold. 4. Oatmeal Banana Bakes (link to recipe). This one is becoming another favorite among my friends, and most of the ingredients will likely already be in your kitchen. 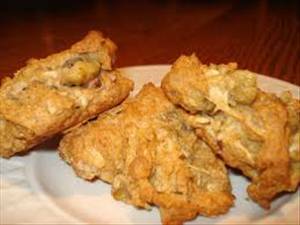 These cookies are mainly a mix of banana, oatmeal, apples and cinnamon, and have a lot of natural sweetness already. The first time I made these, I used about half of the sweetener that the recipe called for, and the second time, I used only a quarter of it. Incredibly easy to make – and addictive too! 5. Healthy Baked Falafel (link to recipe). Ever since my trip to Israel in 2011, I have been a big fan of falafel (fried chickpeas, more or less), which is a very common food there. However, because of its fried nature, falafel isn’t exactly the healthiest food on the planet. I was determined to find a more nutritious version of this Middle Eastern staple, and was very excited to find one on The Picky Eater. The ingredients are good for you, and the site offers a gluten free version as well. The falafel is baked instead of fried, but equally fantastic. I have cooked these up for guests before, and served with all the popular toppings! What are some of your favorite healthy recipes/recipe blogs? What are you doing to stay healthy in 2013? Happy New Year to all of my lovely readers! 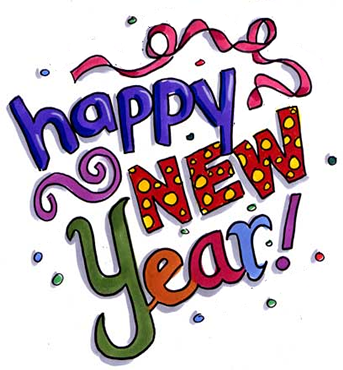 I hope 2013 is treating you well and that your New Year’s Eve festivities were safe and memorable. Recently, I have been thinking a lot about all of the excitement that takes place in late December and early January, and I have to ask myself this: Why aren’t we this excited about new beginnings at all times of the year? Don’t get me wrong – like many of you, I plan to reinvent myself in 2013 and take on new obstacles throughout the year. I love writing down my new year’s resolutions and yelling out in excitement at midnight as the ball drops in Times Square. I love saying “Happy new year!” to friends, family members and strangers in the supermarket in early January. But when do the New Year’s festivities truly end? Is there a cut-off date when “Happy new year!” becomes too outdated, when New Year’s resolutions are no longer relevant? These are just a few questions to ask yourself as you dive headfirst into the new year. I challenge each of you to be your very best self this year – make your goals visual, try out one of these resolutions for bad girls and geniuses, or change your relationship habits. But don’t let your dreams come to a half in the middle of the month; instead, be passionate and live every day like it’s January 1. Don’t be afraid to set goals when the month is up – it is never too late to change what needs to be changed. Once again, Happy New Year to each of you. What are your resolutions for the year? Let’s face it: it’s easy to get caught up in the monotony of our every-day lives. When we aren’t on holiday, we tend to go through the same daily routines without really stopping to take a breath and soak in the beauty of the world around us. We forget about the things we love because we’re too busy “getting through” the things we’re supposed to do — assignments, work, chores, etc. Soon enough, we lose touch with the things we’re most passionate about, and begin to regard them as distant memories. For me, reading and writing are the two great loves of my life, and as an overbooked college sophomore perfectionist extraordinaire, I often feel like I’ve lost the former of those. While I make writing a priority through my blog and other personal projects, I hardly get the chance to pick up a book these days, and I miss the feeling of becoming immersed in a world that is not my own. 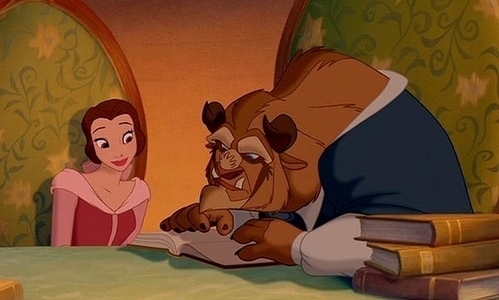 In fact, books have often served as my inspiration. I’ve always been amazed by the idea that a story written centuries ago can still be experienced in a different context in today’s world — the idea that humans, while constantly pursuing new goals, never really do change. Regardless of the advances in technology over the years, we are still susceptible to the same things: love, envy, greed, competition, pride and the search for something better. It’s the very reason why I can read Breakfast at Tiffany’s, which was published in the 1950s, and be reminded of my own college dilemma. Reading, especially when it comes to some of the older works, allows me to make connections I might not otherwise make, and I hope that my own writings will one day have that same effect on someone else. Anyway, in order to reignite this passion and not get completely sucked into the daily monotony, I decided to follow my friend Melissa’s lead and attempt to read 50 books in the new year. Even if I don’t accomplish this goal, at least I will have made reading a priority, and will gain plenty of knowledge and insight from the books I pick up! I will keep track of these books on the “Book Challenge 2011” tab above throughout the next year (feel free to check it out from time to time!) and can’t wait to see what’s in store for me. I encourage you guys to try this out too — and if you aren’t a reader, make another goal that has to do with something you love to do (make time for music, art, sports, or anything else you enjoy). Take a few minutes each day to chase your dreams — you never know where 2011 will lead you!